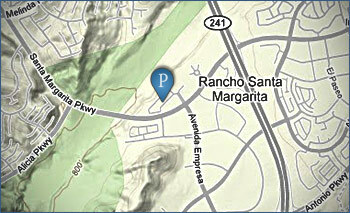 We are located on Santa Margarita Pkwy next to and on the same side of the road as the auto dealerships. Turn on Ave. Empresa towards the auto dealerships and then left into the Arbours Office Campus and continue straight. We are the second building on the left – look for our sign on the building.